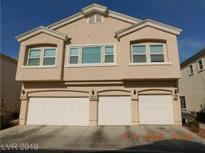 Below you can view all the townhouses for sale in the Hollywood Ranch subdivision located in Las Vegas Nevada. 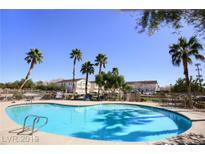 Listings in Hollywood Ranch are updated daily from data we receive from the Las Vegas multiple listing service. To learn more about any of these townhouses or to receive custom notifications when a new property is listed for sale in Hollywood Ranch, give us a call at 702-323-5951. Gated community with amenities including pool, spa, and playground. Must see! MLS#2088667. Compass Realty & Management, L.
Immaculately kept home features modern, neutral grey tones throughout * Chef's dream kitchen with granite counters, Stainless Steel appliances, and oversized breakfast bar * Attached 2-car garage * Spacious laundry room with additional storage * This home is a MUST see! MLS#2087087. Redfin. Beautiful townhouse build in 2016 with 2 master bedrooms, kitchen fetures granite counter tops, carpet and tile, new paint plus all the appliances are included. MLS#2086008. United Realty Group. TURN-KEY & IMMACULATE ~FORMER MODEL~ TOWNHOME FEATURING 2 CAR GARAGE & NICE-SIZE BACKYARD*IMPRESSIVE OPEN CONCEPT FLOOR PLAN w/ 3 BEDROOMS & 1,685sqft OF LIVING SPACE & LOADED w/ DESIRABLE, UPGRADED FEATURES & FINISHES*ISLAND KITCHEN OVERLOOKS LARGE GREAT ROOM & DINING AREAS*POPULAR GATED COMMUNITY OF HOLLYWOOD RANCH ~ PREMIER CORNER LOT & LOCATION WITHIN THE COMMUNITY SITUATED NEAR THE COMMUNITY POOL & PARK*LOTS OF EXTRAS ~ COME BE IMPRESSED! MLS#2083416. NextHome Community Real Estate. 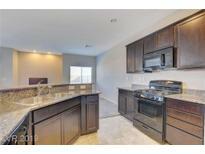 You Will Not Be Lacking Anything In This Super Cute And Clean Townhome! Low Hoa Fees!!! ! MLS#2083206. Win Win Real Estate. Garage entry into the home. Community offers pool & park MLS#2079868. GK Properties. Community areas, pool, spa and park with amazing strip views. MLS#2077216. Forever Home Realty. Keeping your car out of the elements will be a breeze, with large 2 car attached garage w/built in shelves. Welcome home!! ! MLS#2077021. Wardley Real Estate. A large living room with formal dining area, Kitchen with nook, Master bedroom with bath, over-sized backyard and 2 car garage, All located in a beautiful gated community with pool. This is a must see. MLS#2067606. Realty Executives of SNV.